Motion picture Lobby Card "First National Pictures"/"Pals First"
This an early motion picture Lobby Card by "First National Pictures" The Movie was named "Pals First" and depicts someone who looks like a very young Jimmy Stewart and a Black Man (I cannot identify as of yet). It is a rare collectible. 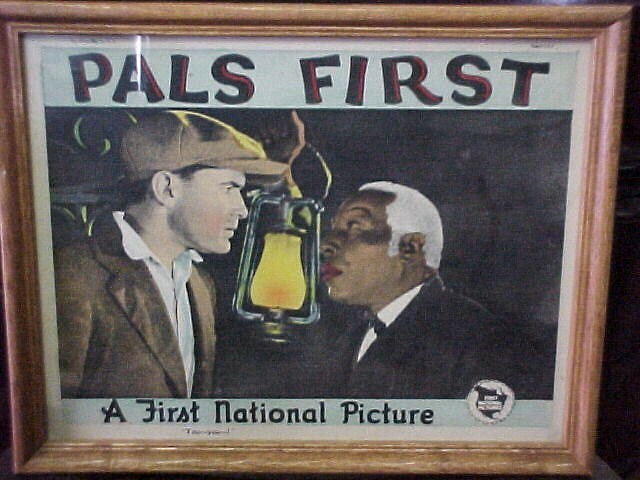 This an early motion picture Lobby Card by "First National Pictures" The Movie was named "Pals First" and depicts someone who looks like a very young Jimmy Stewart and a Black Man (I cannot identify as of yet). It is a rare collectible. Please email cowboycabin@centurytel.net with questions or call 406 270-2842.